Rumours about this year's Oscar nominations are already swirling about and I am thrilled to see that The Help is on the list of Oscar possibilities. 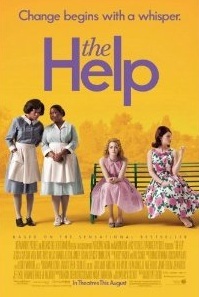 The Help opened on August 10, 2011. The movie recounts the story from the very popular book of the same name (written by Kathryn Stockett) of the black maids working for white people in the southern regions of the United States in the 1960s. The Oscar talk includes possible nods for the actors including Viola Davis, Octavia Spencer, Emma Stone, Bryce Dallas Howard, Allison Janney and Jessica Chastain. It is possible, therefore, that if more than one of them receives a nomination that they could be competing against each other.